Fox Pest Control provides pest control in West Islip and the surrounding areas. We take pride in providing exceptional customer service, and take to heart the feedback we hear from each and every one of our customers. Below you’ll find our reviews, testimonials, and feedback from the home owners and businesses in West Islip we’ve serviced. If you need a West Islip exterminator, contact us today! Thanks, we do not have any more ants. Fox Pest Control sent Alex to handle my problem. He was extremely efficient, knowledgable, and very courteous. I would highly recommend Fox Pest Control. David explained everything he was doing. He was professional and answered all of our questions. 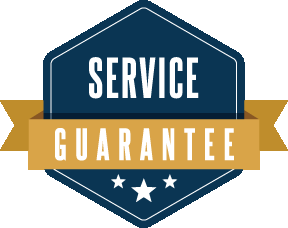 We haven't had any problems since we started our service and have had positive experiences with our technicians. drew was very professional and went the extra mile in the service. Danny was great!! Very friendly and did a good job! Thank you!! Very helpful and took care of the problems in a professional manner. The service technician was polite, thorough and answered all my questions. Would definitely recommend! Great service and reliable!! My technician Danny was friendly and confident!! He was very patient while explaining the process to me. He was thorough and efficient, completing the task in a timely manner. I recommend this company highly!! Very good. The work is thorough and the serviceman is very friendly. So far so good! Technicians show up when expected and are friendly and polite. Chris is great at his job and I would definitely recommend your company to others.